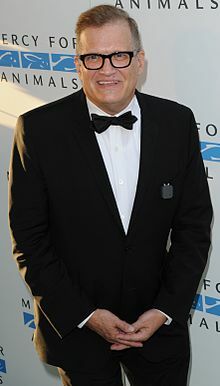 درو کری (اینگیلیسجه: Drew Carey) آمریکالی اوْیونچو. ۲۳ مئی ۱۹۵۸ ‏ ایلینده آمریکادا دۆنیایا گؤز آچیب. 1992 The Torkelsons Herby Scroggins Episode: "Say Uncle"
1996 Lois & Clark: The New Adventures of Superman Herbie Saxe Episode "Ghosts"
1997 Home Improvement Road Kill specialist (Seymour 'Sy' Winterfleffin) Episode: "Totally Tool Time"
1997 The Weird Al Show Himself Episode: "The Competition"
1997 Sabrina the Teenage Witch Himself Episode: "To Tell a Mortal"
1998 The Larry Sanders Show Himself Episode: "Beverley's Secret"
1999 King of the Hill Hal Episode: "Not in My Back-hoe"
2000 Baby Blues Himself Episode: "Bizzy Moves In"
2010 Community Ted Episode: "Accounting for Lawyers"
2018 NCIS Marine Sergeant John Ross Episode: "Handle with Care"
اینگیلیسجه ویکی‌پدیاسی‌نین ایشلدنلری طرفیندن یارانمیش«Drew Carey»، مقاله‌سیندن گؤتورولوبدور. ( ۲۲ ژانویه ۲۰۱۸ تاریخینده یوْخلانیلیبدیر). قارداش پروژه‌لرده درو کری گؤره داها آرتیق بیلگی‌لر تاپابیلرسینیز.